Trials take place at our Studio on Weekdays only. Payments for Weddings and trials: The client must pay a booking deposit of 25% to secure the date. Payment is payable by bank transfer and is deductible from the final price. The final balance is due no later than 2 weeks before the Wedding date. Cancellations by you: Deposits are forfeited on cancellation by the client.  Cancellations by Catherine Taylor or her team: In the unlikely event that Catherine Taylor or her team are unable to attend a wedding, Catherine will refund the amount paid in full and will try to find a substitute make-up artist/hair stylist. In the unlikely event that Catherine Taylor or her team are unable to attend a bridal trial, she will, at first, attempt to reschedule. If that is not possible, Catherine will recommend an alternative artist and refund the deposit. Catherine Taylor and her team will always do their utmost to attend booked wedding preparations but is not responsible for any consequential loss or damages due to being unable to attend. Are you happy for Catherine & her team to use your photos after your wedding on Social Media Sites and our Website?